When purchasing a vehicle from O’Gara Coach, there are many brands to choose from like, Aston Martin, Bentley, Bugatti, Koenigsegg, Lamborghini, McLaren, Pininfarina, Rimac, and Rolls-Royce. All of which ranging from $200,000 to multi millions. For some, the vehicle may be their very first exotic or luxury vehicle, and for others, it is the car they have been waiting for to complete their collection. No matter the sentiment, there are times a private delivery party is necessary. To learn more about 3 very different intimate deliveries, continue reading how Silvestri was able to celebrate three individual vehicles for three very different client personalities. First, Silvestri had the honor of celebrating the last Lamborghini Aventador Super Veloce delivery. The client was a well-established Asian gentleman driver. 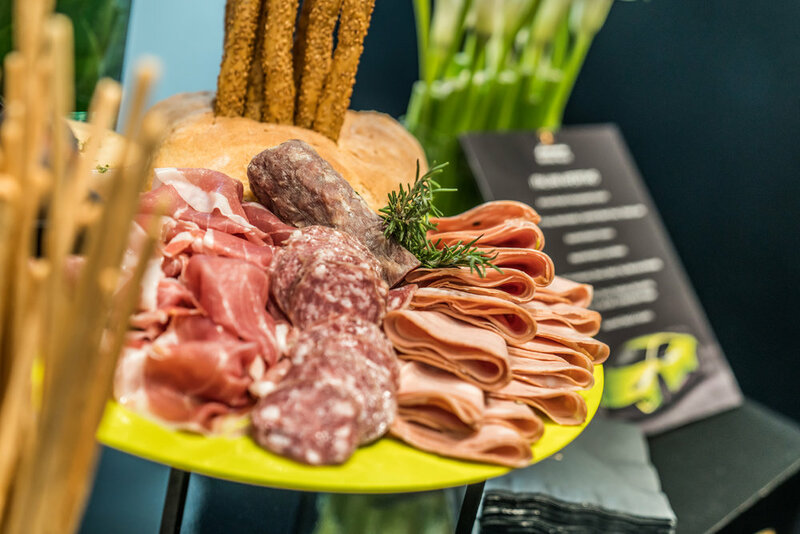 This led to a simple and elegant gathering with the client’s favorite delectable delights. 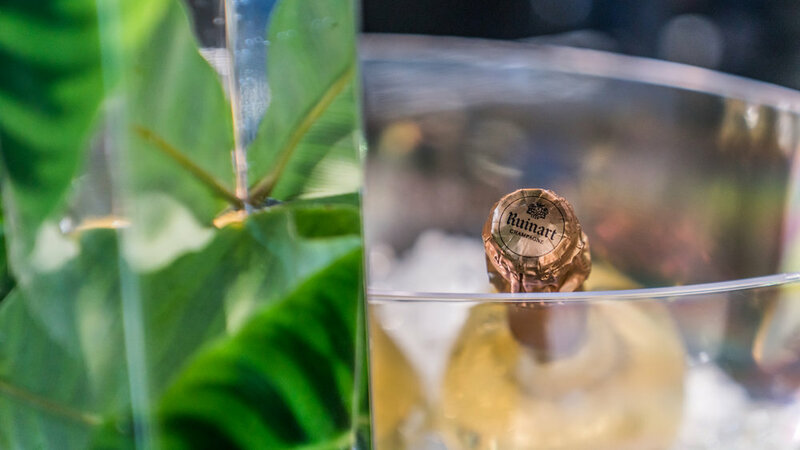 For catering, fine Chinese cuisine was prepared by An Catering and to toast with friends and family, all had a glass of Louis XIII. Models from Runway Waiters were present to greet the guests, offer them the delicious bites to eat and to unveil the vehicle from underneath the silk cover. The next delivery was for a well-travelled and successful doctor in love with Italian culture as well as one who enjoys the finer things life has to offer. 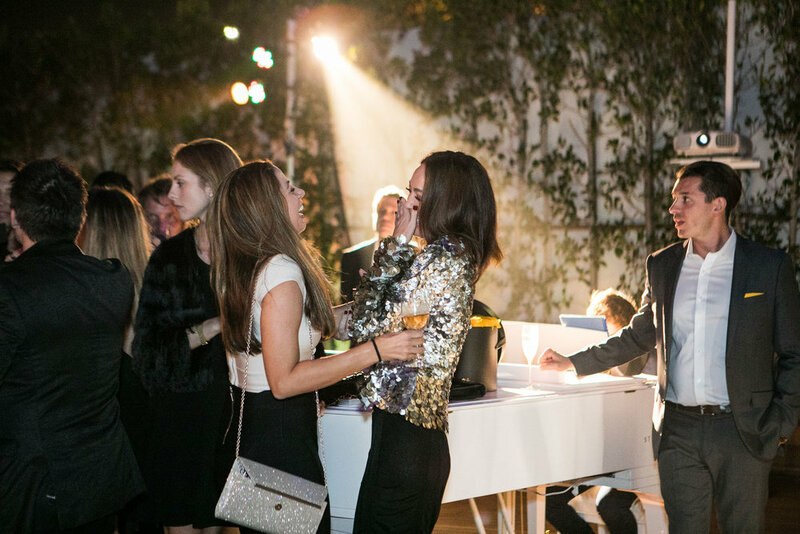 This night was meant to celebrate the doctor’s latest enjoyment as well as Lamborghini Beverly Hills being the first dealer to deliver an Ad Personam car. Ad Personam is Lamborghini’s service to give owners the opportunity to choose unique and personal specifications for their vehicle, all the way down to the stitching color on the steering wheel to the percentage of metallic flake in their paint choice. No detail goes left untouched. In the case of this long-standing customers vehicle, a unique green, Verde Themis was the important detail. To celebrate the long awaited vehicle, O’Gara Coach opened the showroom after hours to the client and 40 of his closest friends, where Louis XIII Cognac and Ruinart Champagne was served throughout the night, could enjoy Italian lite bites from Angelini Catering, or take part in watch fittings with Roger Dubuis, Lamborghini Corporate partner. To welcome the car to client, friends, and family, two models unveiled the vehicle and an explosion of color matched confetti poured from above. Also matching the green vehicle were the floral arrangements around the showroom, and guests were given parting gifts from partner Roger Dubuis. A similar celebration took place for O’Gara Coach’s first Lamborghini Urus delivery, but that wasn’t the only first about this celebration. Melanie Mar, Los Angeles entrepreneur, life coach, and socialite was the first female delivery of the world’s first Super SUV, Urus, in North America. Melanie’s personal tastes and interests could be summed up as sophisticated, chic, and anything Italian! This is why he event took place at the famous Mr. C’s, where guests were welcomed by an elegant woman featuring “Bellini” on her skirt of metal, with a step and repeat of live flowers for a backdrop, constructed by Venus Et Fleur. Also setting the mood was the lighting. 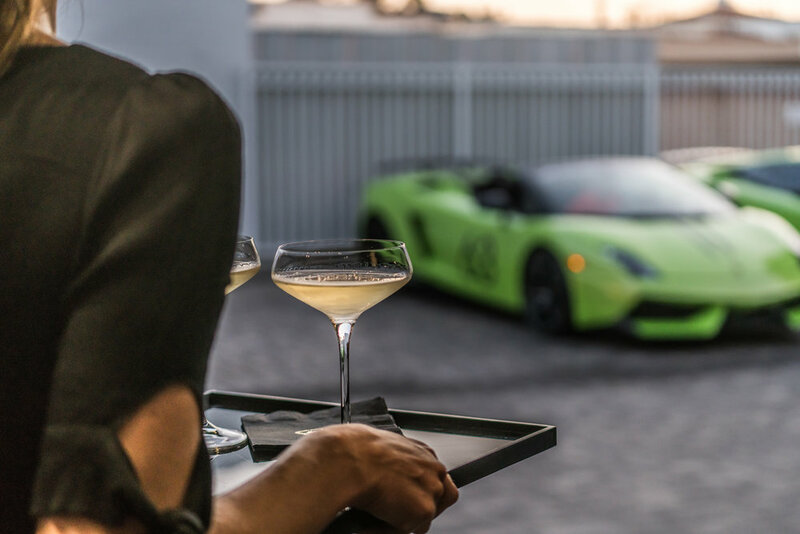 A soft and romantic setting was created around the venue as well as the piano, Lamborghini logos could be found projected on the walls, and Urus videos playing on the outdoor TVs on a loop to excite the guests. 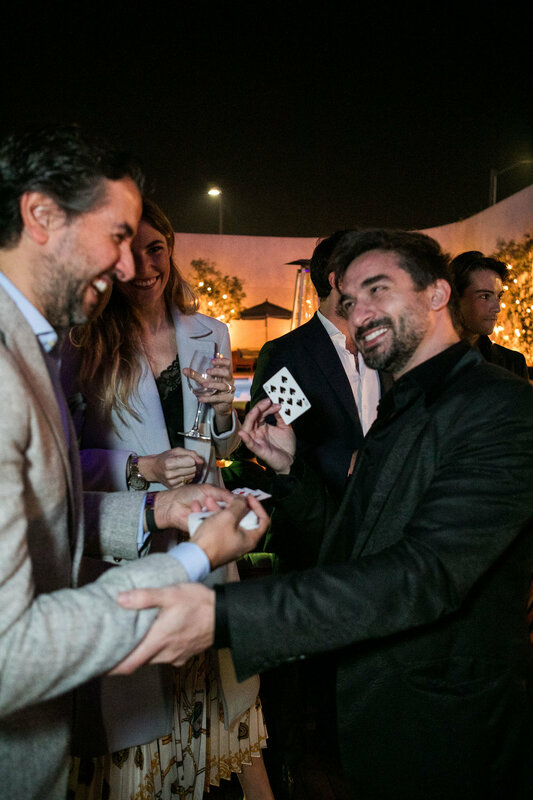 For entertainment, a splash of Melanie’s favorites including magic, illusion, and music were displayed that night, and from an all Italian team; including Riccardo Berdini, illusionist, accompanied by Jacopo Giacopuzzi on a white piano provided by Steinway and Sons. creating a one of a kind performance for Melanie and her guests. Also on site for all to enjoy was a selection of the best of Cirpiani’s signature from Bellini and delicious dishes from Mr. C’s chef. 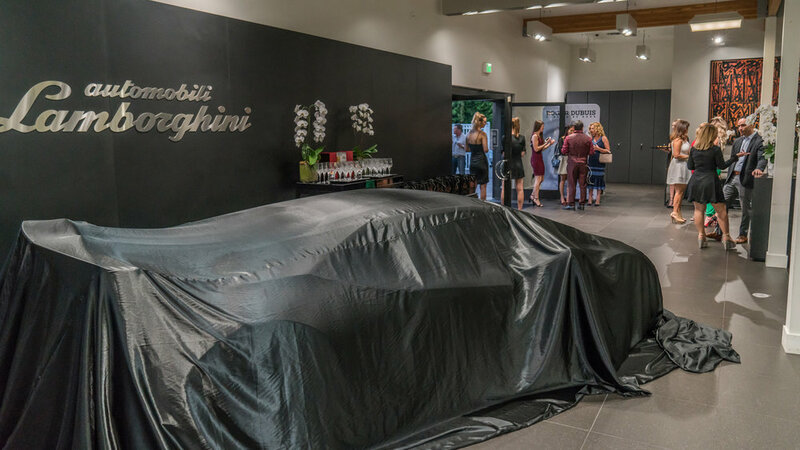 To unveil the vehicle smoke had filled the room, music by Hans Zimmer’s Dark Knight filled the air, and the slip was whisked away revealing the Giallo Orion Lamborghini Urus. The night ended with a toast to Melanie, sparklers lighting the night and a celebratory cake. Not all deliveries have to be so grand. A digital request that had made its way to Silvestri and her team was to create a video of a surprise delivery within the showroom. The request came in hours before the fourteen year old race car driver Steven Aghakhani was surprised by his family with the first North American delivery of the Huracan Super Trofeo Evo. The difficult part was capturing the family arriving and entering the showroom without raising suspicion of the unknowing Steven, but this was quickly resolved with Go pros mounted on inventory in the showrooms courtyard. A staple gift that Silvestri provides all clients with from the night is a curated photo gallery and a video in which she scripts. Whether you have months to prepare for a scheduled delivery or spontaneous client requests come in, Silvestri and her team of critical thinkers are prepared to celebrate and capture your special occasion.